To my gleeful amazement, I unexpectedly ran across Gagarin’s Vostok-1 capsule yesterday! I was out wandering in Moscow and at the VDNKh exhibition center I discovered a newly opened museum “Cosmos”. It turns out to be a big new Space Technology museum. And sitting in the lobby was the original Gagarin Vostok-1 capsule. Oh wow! I’ve been trying to visit this for years and I was really pleased to finally and unexpectedly see it! The Vostok-1 capsule is normally kept at the restricted-access RSC Energia Museum, which until recently was closed to foreigners. I am amazed that the Cosmos Museum guys managed to pry the Vostok-1 capsule away from RSC Energia, who normally guard it like a particularly suspicious mother bear with its favorite cub. By an odd coincidence, I had finally managed to arrange a private visit to the RSC Energia Museum today (for a princely 580 Euros). 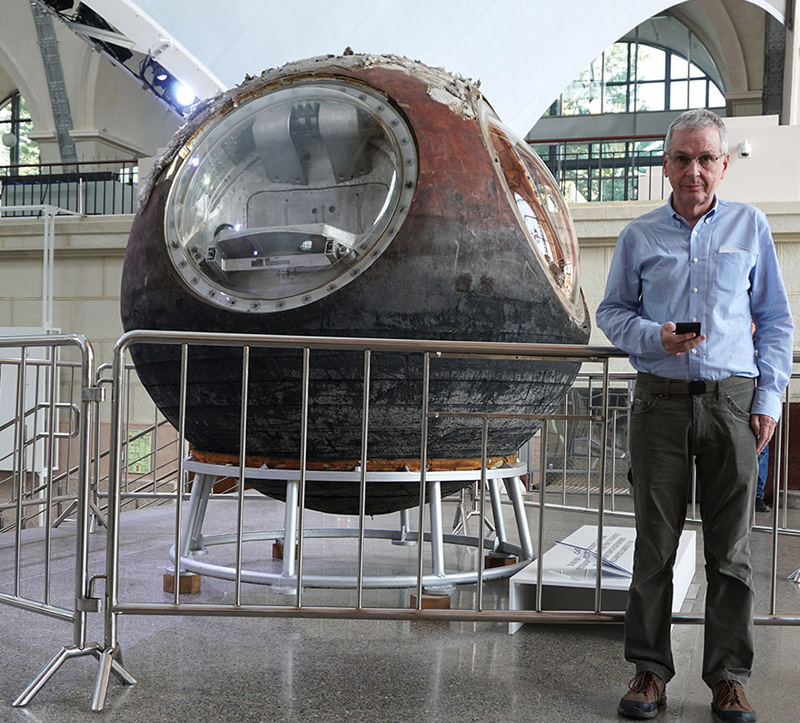 Here they explained, rather grumpily, that the Vostok-1 capsule was on a temporary loan to the new Cosomos museum and they were expecting it back imminently, if not sooner. The Vostok-style capsule that had been used for Belka and Strelka. This Vostok-style capsule had held a smaller capsule with the two dogs. After re-entry, the smaller capsule with the dogs was ejected, just as a human cosmonaut would be before the main capsule landed. Both the larger and smaller capsules landed safely. The RSC Energia exhibit includes both the larger capsule and the in-situ dog capsule. My guide assured me that both are the originals. Another similar dogs-in-space Vostok-style capsule. The Vostok-6 capsule of Valentina Tereshkova, the first woman in space. A three-crew Vostok variant, the Voskhod-1(1964). The Voskhod-2, which had been used with 2 crew and an airlock for the first space walk. The Soyuz-3 capsule, the first successful Soyuz mission. No less than five other Soyuz capsules, including the capsule used in the Soyuz-Apollo mission. So a total of five Vostok style capsules and six Soyuz capsules! I very much enjoyed the RSC Energia tour, even without Vostok 1. 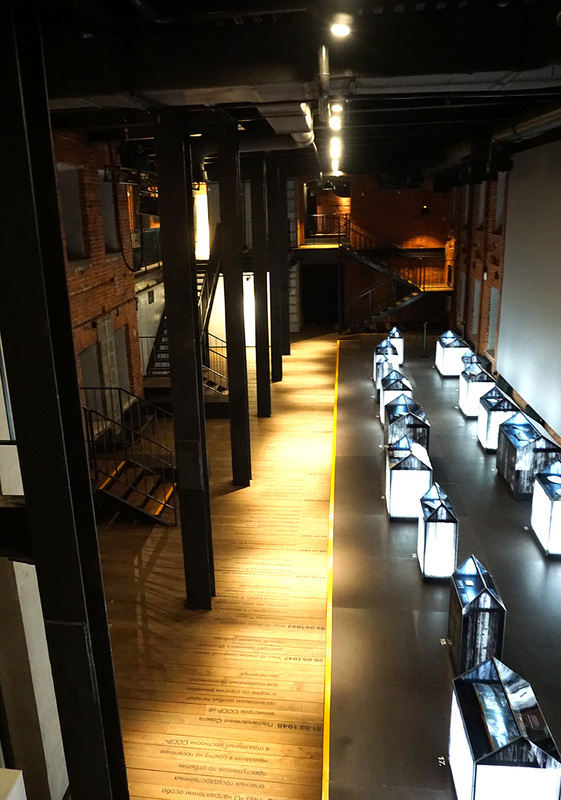 The new Cosmos Museum inside VDNKh. This is a good large museum, but almost all the exhibits are mockups or replicas. The Vostok-1 is only there temporarily. The older Museum of Cosmonautics, just outside VDNKh. This is mostly replicas, but has a few original pieces, notably two Soyuz capsules and Michael Collin’s Apollo-11 spacesuit. 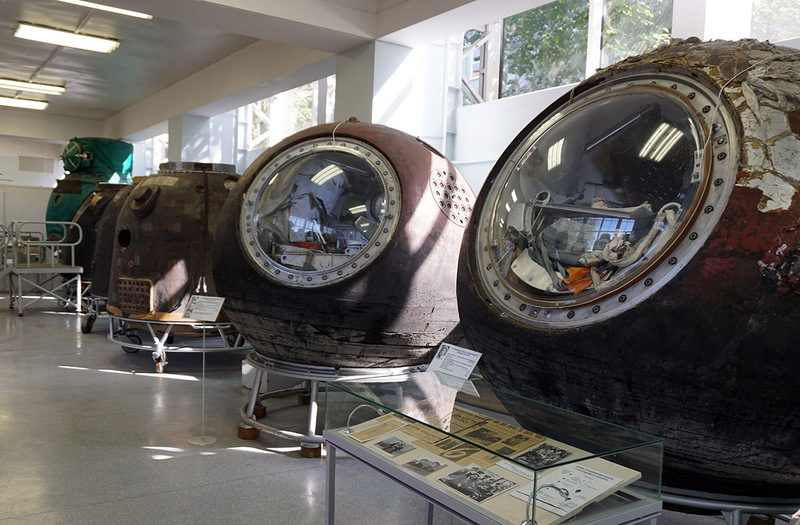 The restricted-access RSC Energia Museum out at Korolev City, which has many original capsules. Perm-36 is the last surviving Gulag camp, now the “Museum of the History of Political Repression“, about 90km East of Perm. It was abandoned in 1988, became extremely dilapidated, then was reclaimed as a Museum in 1994 and partially restored. So what is visible today is a mix of original buildings and reconstructions. It is all post WWII however, so there is nothing from the Gulag heyday of the 30s or the Great Terror itself. 1946-53: A conventional Gulag camp, mostly housing criminals and workers convicted of anti-social crimes such as chronic absenteeism, etc. 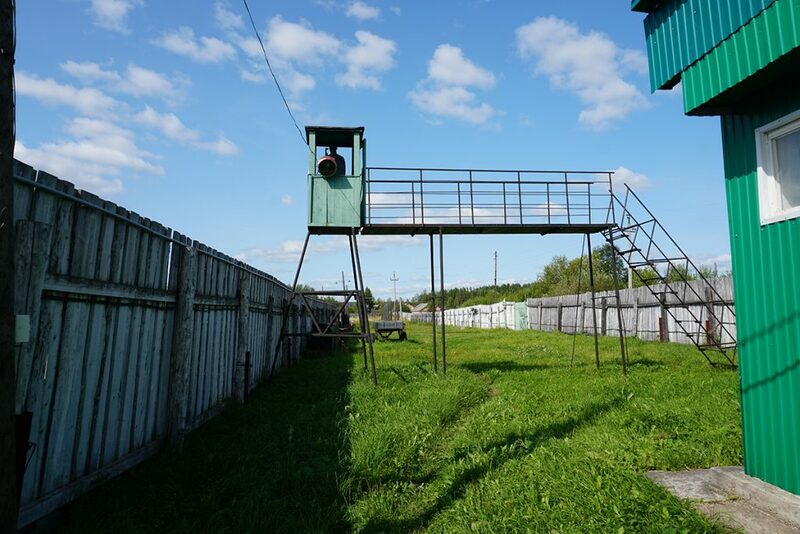 Perm-36 was a relatively mild labor camp, not an intensive punishment camp. 1953-72: A special prison for servants of the Stalinist regime who had fallen out of favor with the new regime. This included NKVD officers, politicians, etc. These prisoners were relatively privileged. 1972-88: A special prison for dissident and anti-Soviet elements. There prisoners were typically well educated and their treatment relatively mild. The entrance/administrative building. This includes the visitor rooms. The later, more privileged prisoners were allowed to either have face-to-face visitor meetings with a guard present or in especially privileged cases to have two or three day shared room stays with spouses or other family members. One barracks building, which had housed 50-60 people in each of four barrack rooms. Back in the day, they would have triplex bunks, and two small stoves in opposite corners, which would be less than adequate for the colder nights. A punishment block. This included some short stay cells for a first offense, and a long stay unit for 4+ weeks for repeat offenders. Guards might decided to target specific prisoners as “offenders” based on order from higher up. The main punishment was reduced rations. Long term prisoners had to work at simple factory tasks. The main task of the Gulag camps in this area was logging, to help provide wood for rebuilding efforts after WWII. Perm-36 was originally part of that, although I got the impression that part had probably faded away in its later years with more privileged prisoners. Before 1953 security was light as prisoners had nowhere to flee. After 1953, the camp had five levels of fencing. A reconstruction is on display. Two of the fences were wooden walls, intended to mask visibility in and out. One fence was electrified, not to kill but to stun and sound an alarm. The Museum plays recordings of angry barking dogs to add authenticity! Since this is the only surviving Gulag camp, I’m glad I visited. But at another level, it was only mildly interesting. Both my guide and the Museum signage tended to convey an impression that it was “not that bad” and merely a labor camp. Now of course this is all post WWII, when things were probably much better that during the horrors of the 1930s. Even so, my impression is that the Museum is also sanitizing the 1940s experience – it would be easy to leave with the impression it was “just” a labor camp, and I think the reality was much harsher than that implies. This is after all the period described in One Day in the Life of Ivan Denisovich. It would have been interesting to have death rate data for example. 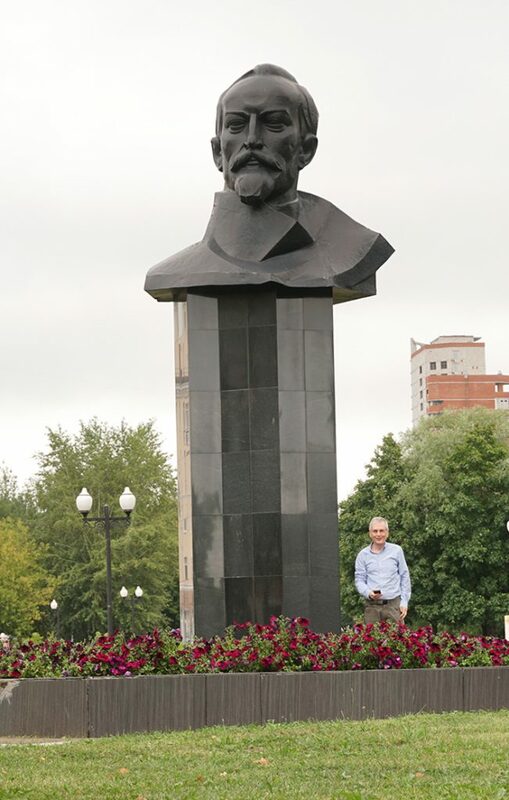 The city of Perm itself also offers one surprise, a gigantic bust of Felix Dzerzhinsky, the founder of the Soviet security police. A man who made Stalin look warm and cuddly and is still fondly remembered, by some at least. 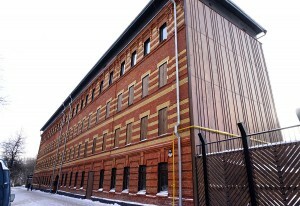 Moscow’s Gulag History Museum has moved to a new, larger, building with new exhibits and a new narrative. The building’s exterior is deliberately stark and austere, even forbidding. 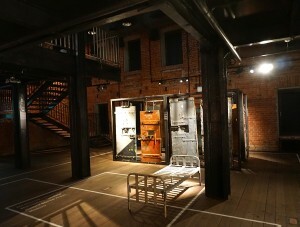 The interior exhibition space has been given a distinctly prison-like style. It is mostly one large multi-level hall, with many side rooms for specific topics. 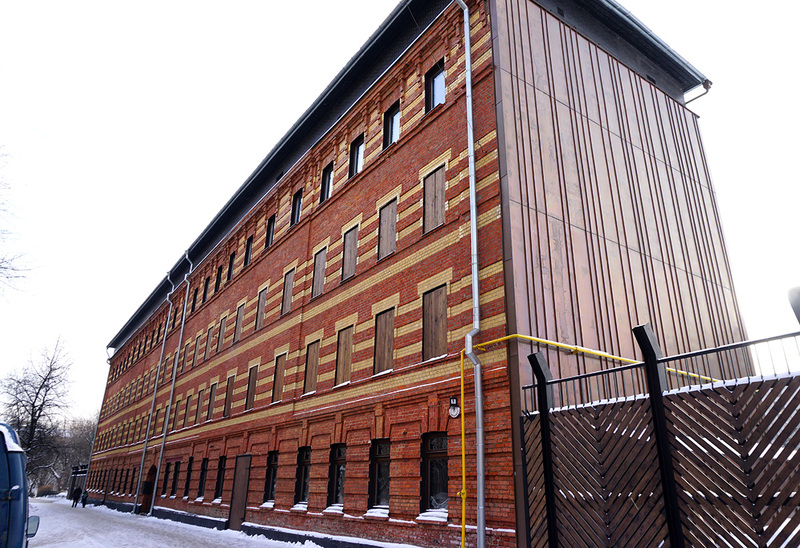 The Museum covers the history of the Gulag, describing the transition from the revolutionary optimism of 1917 to the harsh realities of the 1920s and 1930s, and then on through to Stalin’s death in 1953. There is a reasonable amount of English signage, although for some detailed topics there is only Russian. The exhibits start with a collection of cell doors and include various gulag artifacts and prisoner’s possessions. A side room shows videos (with English sub-titles) of now-elderly victims describing their arrests and trials. I had been concerned that as part of the move to new quarters the Museum’s messages might have been softened, as has happened at Perm. But, no, the signage is very clear and crisp in describing the use of the Gulag system not merely for common criminals but as an instrument of political repression. Unusually for today’s Russia, there is a willingness to confront some of the harsher realities of the Soviet past. For example, the description of the Great Purge of 1937-1938 speaks freely of 1.5 million arrests and 700,000 executions. I spent a couple of hours wandering around, reading the signs, watching the videos, and reflecting. 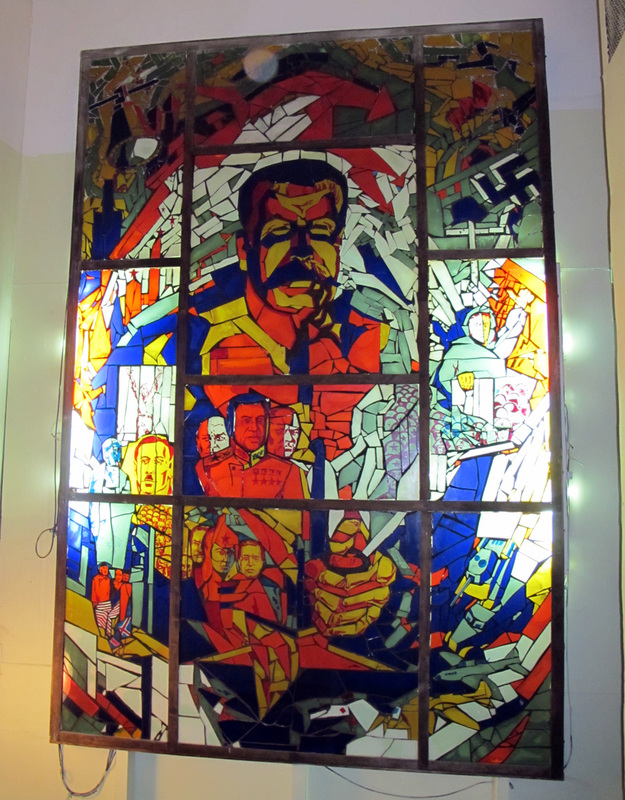 If you are interested in Soviet history, or in the impact of the past on today’s Russia, it is definitely worth a visit. Practicalities: Here’s a link to the Gulag Museum Website. The Museum is at 1st Samotechny per., 9, bld. 1, Moscow. The nearest metro is Dostoyevskaya. I’m in Elista, in South-West Russia, Europe’s largest (only!) Buddhist city. 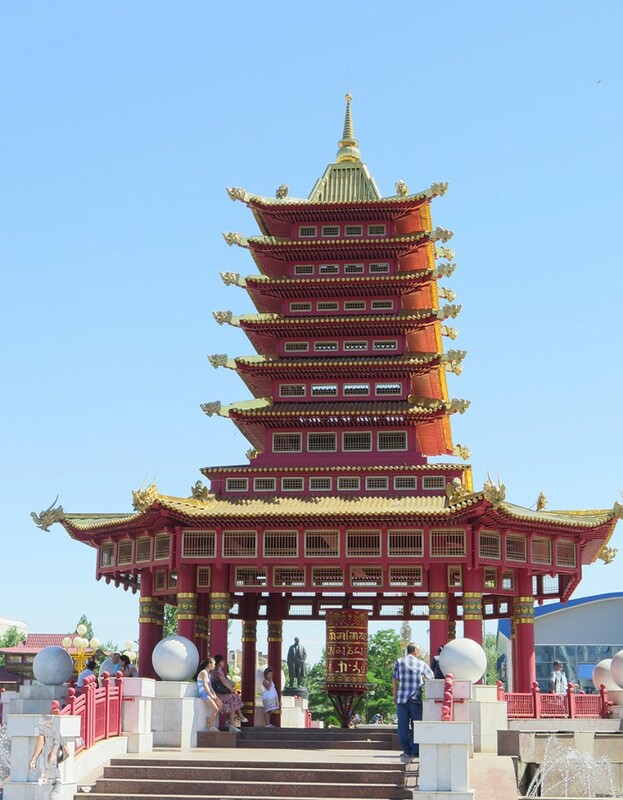 A Pagoda, a Golden Temple, stupas, a giant golden Buddha statue, assorted Buddhist art. And amazingly few tourists. 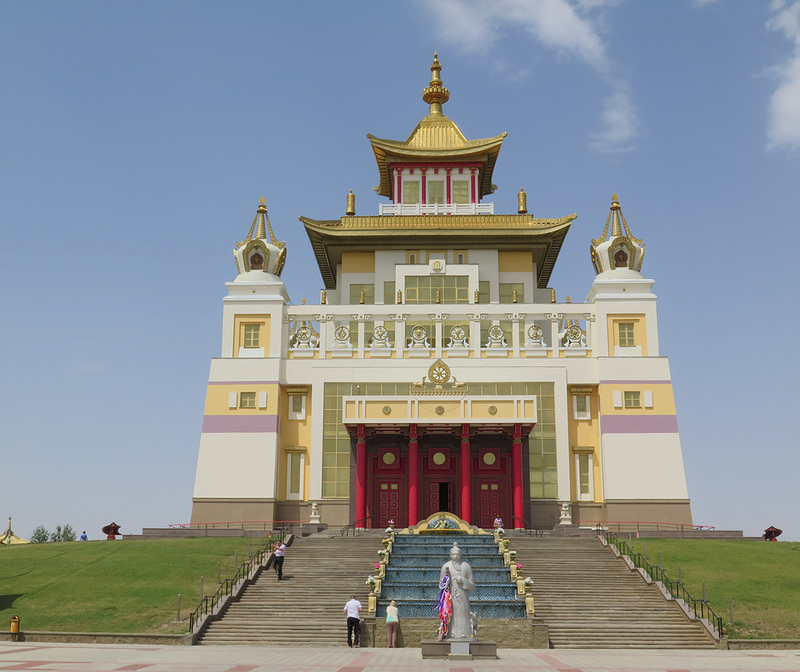 Elista is home to the Kalmyks, a western arm of the Mongols, who settled in the plains North of the Caucasus in the 17th century. They’ve had a complex history, including wholesale exile to Siberia under Stalin, and a subsequent slow return under Khruschev. Since 1991 there has been a major revival of Tibetan Buddhism, including visits from the Dalai Lama. The city has strange juxtapositions. In many ways it feels like a typical, mundane, post-Soviet city, with decaying industry, drab Soviet apartment blocks, and rickety infrastructure. But then suddenly there’s an unexpected Buddhist shrine. The centerpiece is the Golden Temple, built in 2005, an extremely flamboyant structure, with concrete columns, elaborate decorations and much gold leaf. 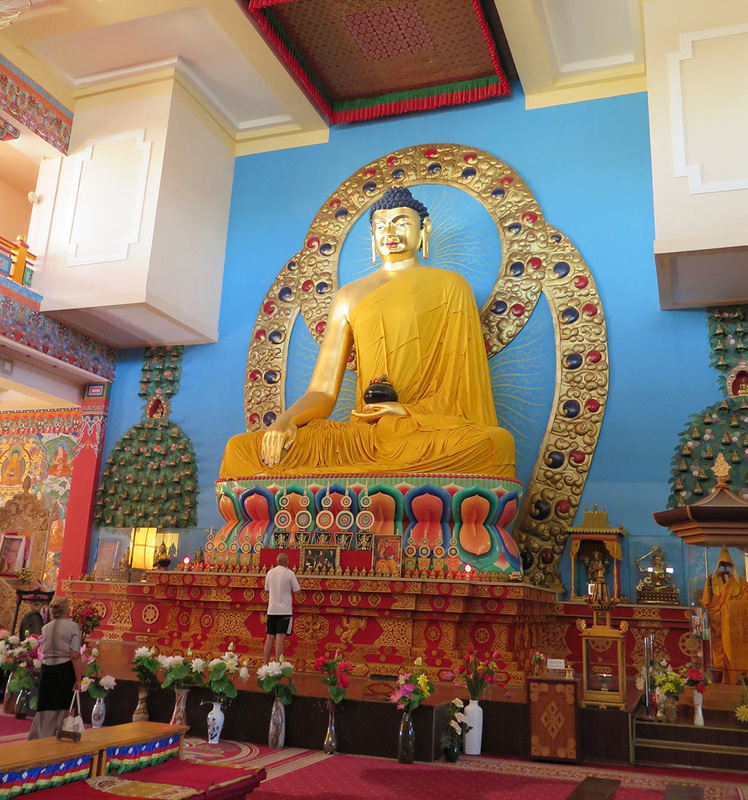 Inside is a giant golden statue of the Buddha, complete with pink fingernails, and many Tibetan Buddhist murals. Unfortunately, the temple comes across in some ways as an alien implant, using external designs and motifs, with no evidence of local Kalmyk influence on the art or construction. The Kalmyks had followed a branch of Tibetan Buddhism, but I suspect they must have developed their own styles and traditions. So I am curious as to how well this wholesale import of a pre-fabricated Buddhist tradition is being accepted by local society. When I was there the temple was very quiet, with only an occasional worshiper. There were a tiny handful of Russian tourists, but no other Westerners. What more could you ask for? 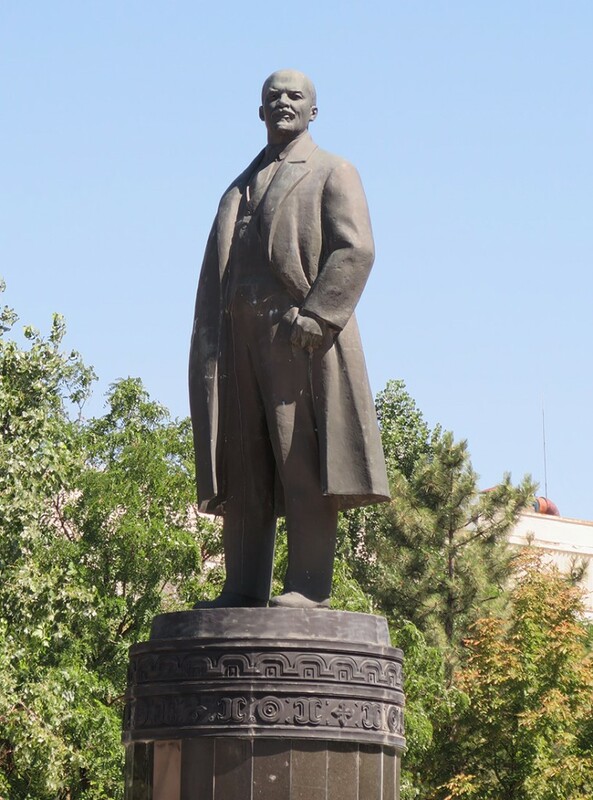 A statue of Lenin? Yes, he’s here too, lurking with a rather disapproving expression in the shadow of the Pagoda. I came in by bus from Astrakhan (5 hours) and I’ll be heading out on another 5 hour bus ride to Stavropol. 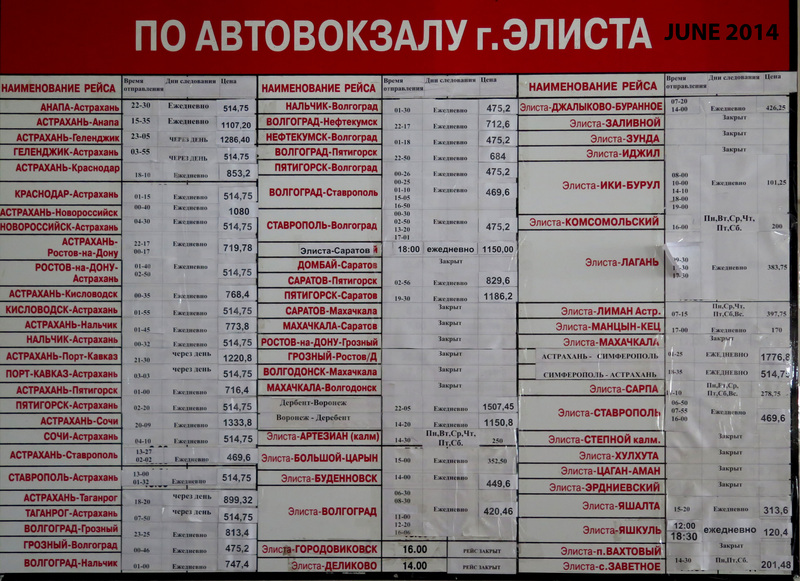 To help other travellers, here’s an image of the Elista bus timetable. But note that many services are marked “закрыт” (“cancelled”). The Russian-Azerbaijan border used to be closed to foreigners. But a couple of recent postings over on the Lonely Planet forums had indicated that the Russian regulations have changed to allow non-CIS citizens to cross. I was in the Caucasus, so I thought I would give it a try, starting from Derbent in Dagestan and going through to Baku. Here are some notes for anyone else taking that route. I originally planned to take a bus or a shared taxi. In Derbent, the long distance buses leave from the South Bus Station. The timetable there lists a Baku bus, leaving Derbent at 11:20 and getting into Baku at 16:40. Hurrah! But when I tried to buy a ticket, all I got was headshakes. When I went back to look at the timetable, people indicated I shouldn’t pay any attention to it. The ticket office ladies were trying to be helpful and seemed to be saying that I needed to take a taxi to the border. Hmm. It looks as through the bus may not be running at the moment for some reason. And I couldn’t find any signs of shared taxis. I did find a taxi driver willing to go to the border. But then we ran into the problem of there being several crossing points and which one did I want? I thought it would be easiest to take the major M29 route, which runs across the Samur River to the Azerbaijan town of Samur. But in the end I left it to the taxi driver. For some reason he didn’t seem to want to try the M29 crossing and near the border he cut across from the M29 through minor dirt roads to try a crossing near the Russian town of Filya. At that crossing the Russian immigration officer made it clear I couldn’t cross there, but redirected us towards the Yalama crossing. Along the way we got stopped a couple of times at police checkpoints. At one, I was taken aside and my passport very carefully scrutinized. Then there was some rubbing of thumb and fingers together and significant smiles. It was clear that a small gift was expected. But I gave a very polite “no” and after a repeated try and slightly disappointed looks this was accepted with good grace. At Yalama I was able to get through without major difficulties. My passport and visas did get an unusual degree of scrutiny on both sides and the Azeri officer in particular looked at almost every pixel. He even wanted to see my US Green Card, but I think that was mostly just curiosity. 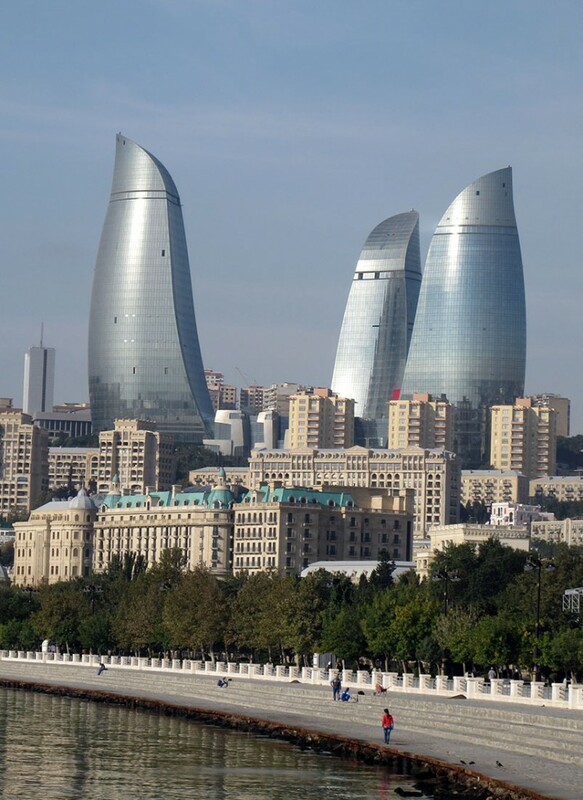 After exiting on the Azerbaijan side I found plenty of people offering “taxi?” and after a quick break, I chose one and we leapt off at full Azeri racing speed to Baku. I left Derbent around 8:00am. It was about one hour from Derbent to the border, about an hour total to cross the border and then a little under 3 hours to Baku. Plus some lost time at the failed crossing point. I speak only a few words of Russian and I have lousy haggling skills, so I paid 1300 Rubles for the taxi to the border and another 2500 Rubles for the taxi to Baku. A skilled Russian speaking haggler could probably do much better. 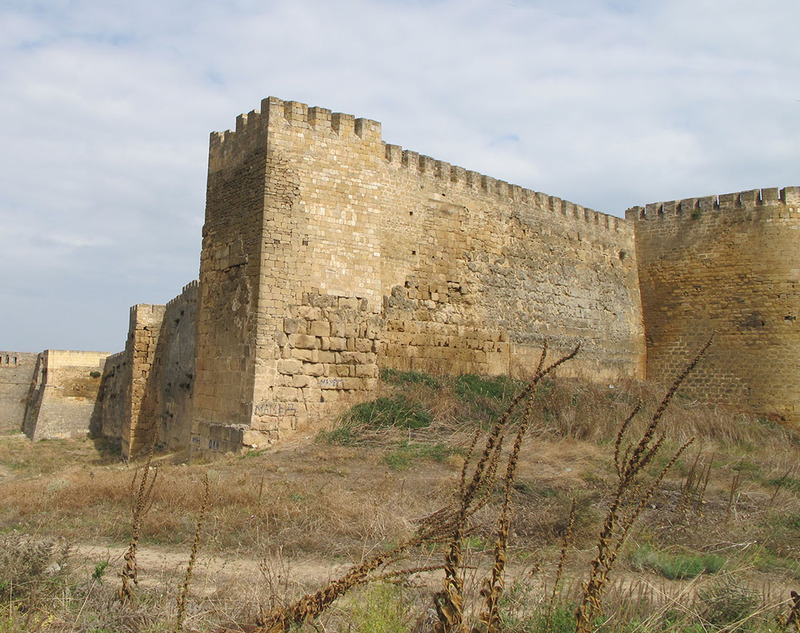 Makhachkala to Derbent: I had got to Derbent from Makhachkala by a marshrutka from Makhachala’s South Bus Station. It took 2 hours and 170 rubles. Marshrutkas seem to depart quite frequently, at least every half hour. At Derbent I got dropped off at the central bus station. This seems to be only for local traffic (the long distance buses use the South bus station) and the staff there denied all knowledge of a place called Baku. I am in Samara, where I have successfully infiltrated the Stalin Bunker. The bunker was build in great secrecy and in great haste in 1941, when Moscow was in danger and Kuibyshev (aka Samara) was the fallback Soviet capital. 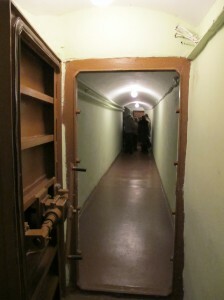 But Moscow survived and Stalin chose to stay in the city even during its most dangerous moments, so the bunker was never actually used in anger. The bunker entrance is hidden behind an innocuous steel door. 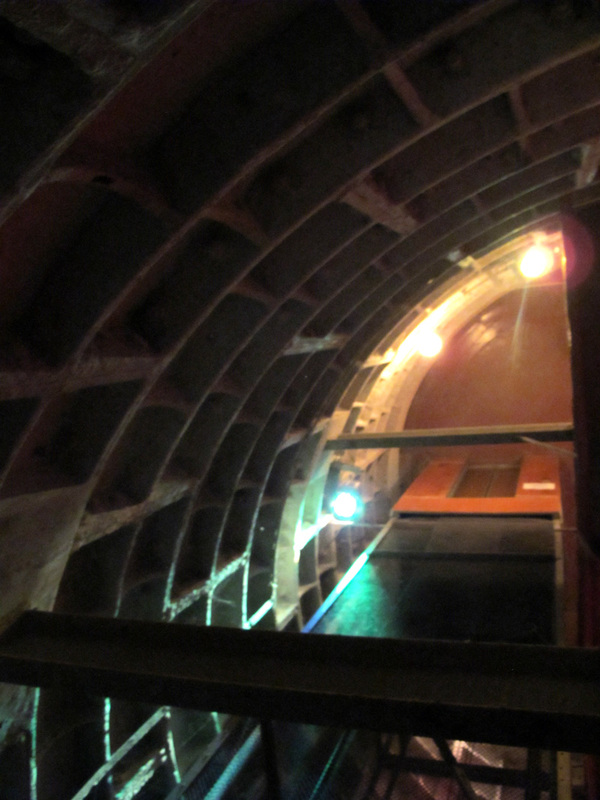 You then head down 8 flights of stairs, mounted in an armored steel cylinder, to reach the top of the bunker proper. 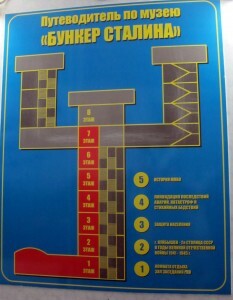 The bunker then occupies seven levels, with the “Stalin” level at the very bottom, 190 steps from the surface. The current decor is a modern restoration of what the long ago Stalin headquarters might have looked like. 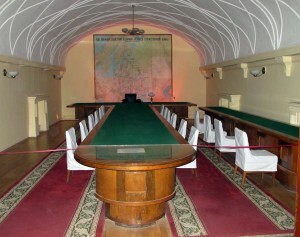 There is a large formal conference room, with a giant war map. 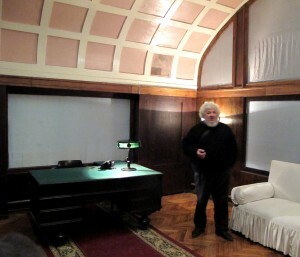 Opposite is a mid-sized office, with a giant “Stalin Desk”. All ready for the great man, should he suddenly reappear on the scene. The Bunker authorities make heavy play on the Stalin name, although he probably never actually visited. The authorities also carefully preserve a distinctly Stalinist style towards visitors. They only admit pre-arranged groups and do not allow individuals. It is possible to pay for of an entire group of 20, but you still need to book in advance and since the bunker authorities don’t have an email or speak English, you typically need to work through a tour agency (more below). I was lucky enough to arrive as a group of fourteen young students and their teacher were about to enter. I was initially given head-shakes and my entrance fee turned away. But after a bit, after there were some discussions in Russian, I was deemed harmless and allowed to tag along with the student group. 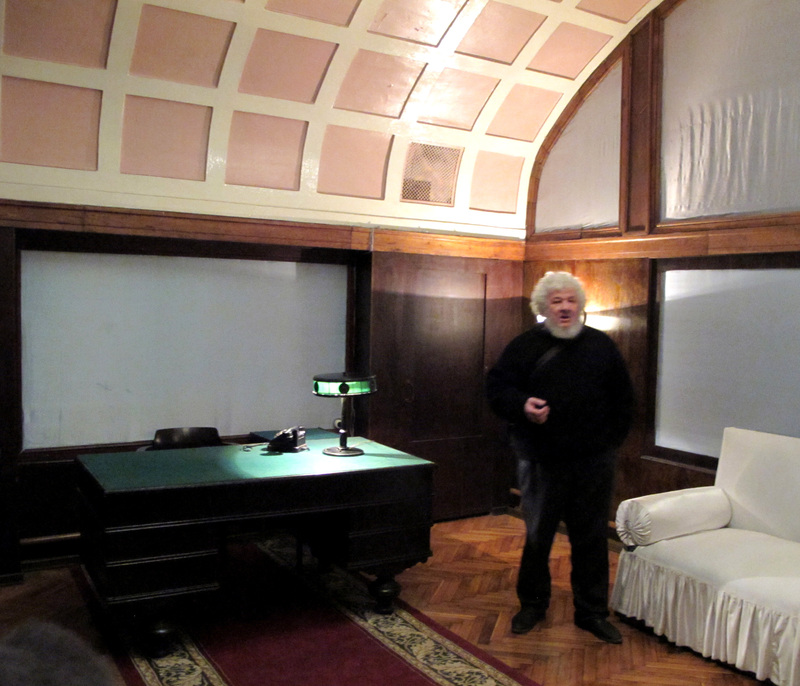 This meant I needed to wait patiently through several very thorough lectures in Russian on the history of the bunker, but that was a small price to pay to get into a tour. On the way out, make sure to admire the modern Stalin-themed stained glass window near the entrance. Practicalities: The bunker is at 57 Ul. Frunze (53.196710, 50.098201), under the Academy of Culture. It has its own separate entrance around the back. Nominal hours are 11-1 and 2-3, Mon-Fri. I emailed three tour agencies to try to arrange a visit (Samara Tour, Y-RA, Samara InTour) without success. 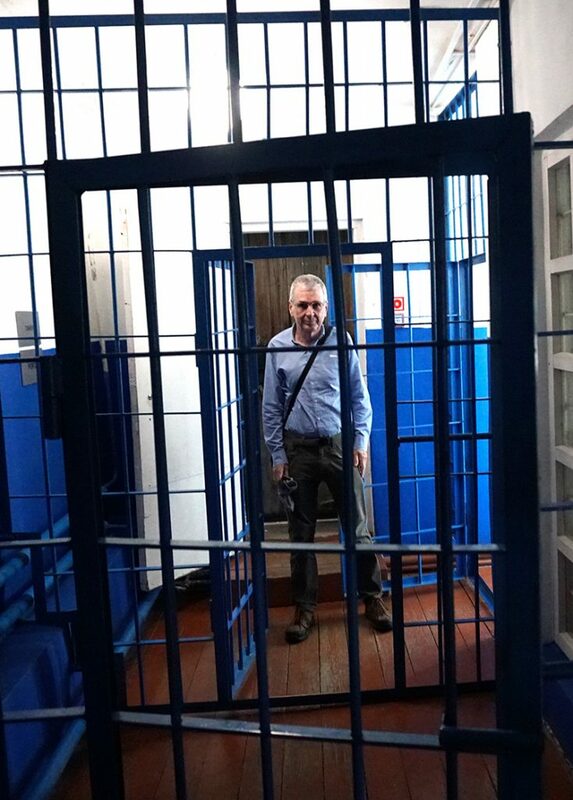 Eventually I reached a company “holiday-tours@mail.ru” who were willing to set up a tour for me, but at the group rate of 5000 Rubles, which seemed a little stiff. The best bet is probably to try to join on to an existing tour. There seemed to be groups going through roughly hourly, on the hour, when I was there. It seems that if they are under the group size limit (which I think is 20 people) and you seem harmless, they may let you tag along. I paid 80 Rubles for my visit, but I may have lucked into a student discount.